The island of Alameda, now a town of about 80,000, actually started life as a peninsula off of Oakland. 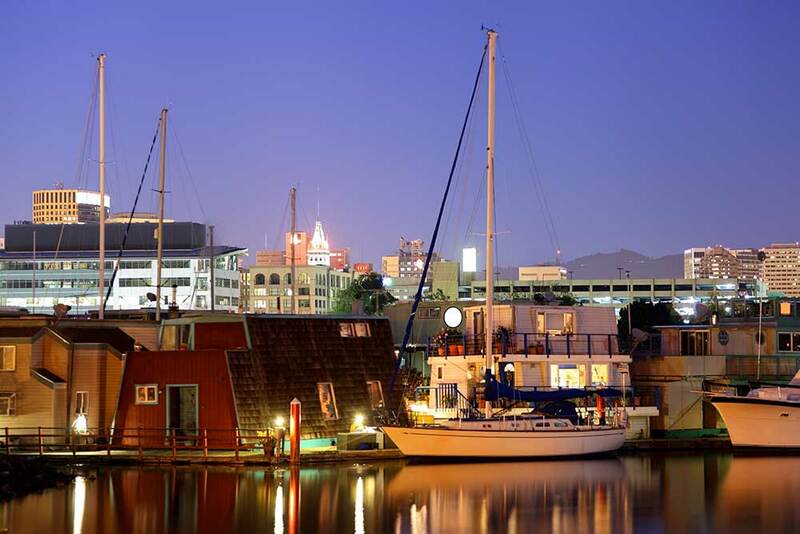 It became its own town in 1884, and in 1906, it became an island when a tidal canal – the Oakland Estuary – was created to join Oakland’s harbor to the Bay. 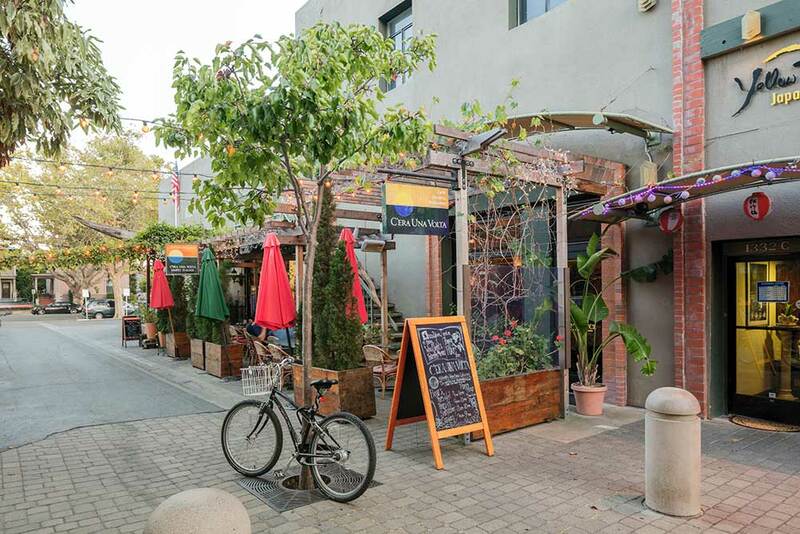 Starting out as a home for ship captains, Alameda has always been known for safe, old-style neighborhoods, some excellent schools, and one of the best cross sections of West Coast architecture. In fact, as you drive around the island, you’ll see Victorian homes, bungalows and Craftsman, mid-centuries, and new developments of the nineties on up. What’s changing is the sleepy, laid back energy as a whole new population of people in their 20’s and 30’s move onto the island. This energy is only likely to ramp up as the “West End” frontier is developed in the next decade. Even today, the average price for a 3-bedroom house is over $1 million. Alameda has four basic neighborhoods: Harbor Bay and Bay Farm, East End, Central and the West End. These neighborhoods were developed mostly in the seventies and eighties They’re actually on a peninsula just north of the Oakland airport, anchored to the main island of Alameda by a small bridge. Best known for their well-manicured homes, some of the best schools in the state, the Chuck Corica golf course, Harbor Bay and Bay Farm have an incredible greenway and bike and walking trail along the Bay that surrounds the community. East of Broadway, there’s the very well established neighborhood of Fernside. Here, you’ll find many well tended Craftsman bungalows, Tudors and Mediterranean’s from the twenties and thirties. Further toward the Bay, there’s a number of homes from the sixties and seventies. This, the historic heart of Alameda, is anchored by Park Street, the island’s main shopping street. Once a sleepy little main street, it has in the last few years become the weekend’s happenin’ place. Sure, there’s still the old style diner of Ole’s Waffle Shop. But now, it’s joined by all sorts of worldly restaurants – from Burmese to Cuban to Asian Fusion. 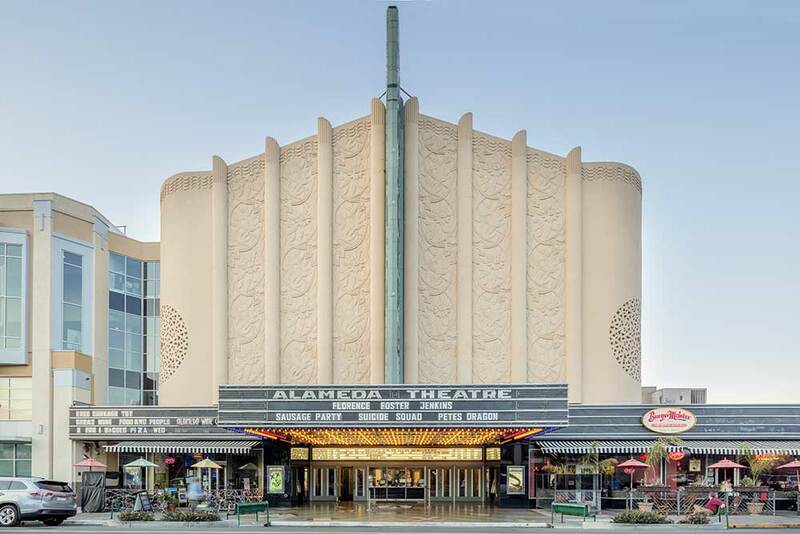 The newly renovated, Historic Alameda Theater, has become a drawing card for evening entertainment. Central Alameda extends over to the Gold Coast along Grand Avenue, where you’ll find one of the finest collections of grand Victorian homes in the Bay Area. Once home to sea captains, they are now coveted by young families yearning for a sense of history. This is Alameda’s great frontier, west of Grand Avenue all the way out to Alameda Point. Alameda Point was the location of the old naval air base and actually makes up 1/3 of the land area of Alameda. 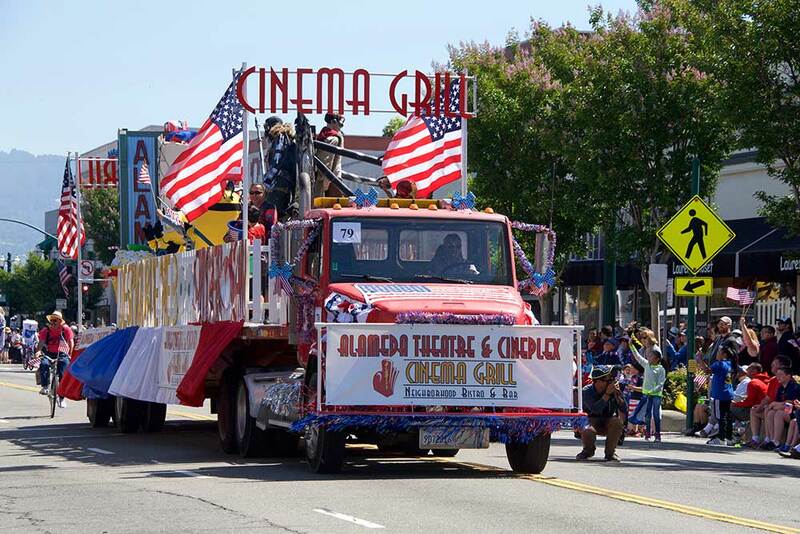 When the Navy moved out some years ago, this end of the island started to reinvent itself – from the enlisted man hang outs to a big part of Alameda’s future. New development has already begun, starting with neighborhoods, such as Bayport and the Landing. The next big step is the development of Alameda Point itself. It is expected that to include many new acres of parks, several thousand new homes and a new infrastructure that is likely to change the face of Alameda’s West End. Already, as you drive down Webster Street, you can see new restaurants and cafes and shops going into the old navy hangouts. Safe to say, Dorothy, this isn’t Kansas anymore.